Today’s airports tend to be situated away from city centers, out in the suburbs or, even better, in the house-free industrial areas surrounding cities. The reasons are obvious: noise and safety concerns make it sensible to keep the airports out of city centers. 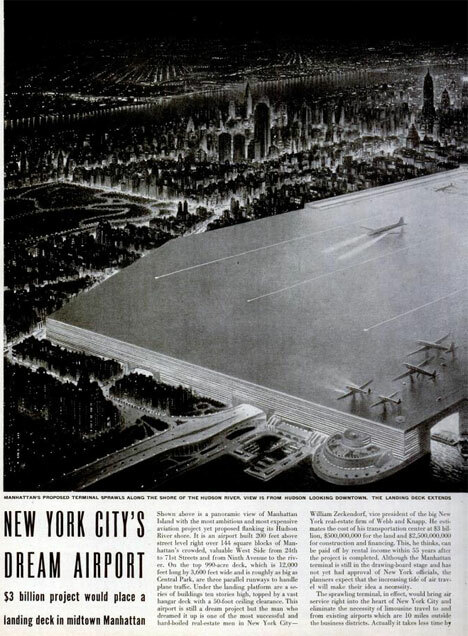 But at one time, the future of airports seemed to be putting them right in the middle of the busiest parts of cities. 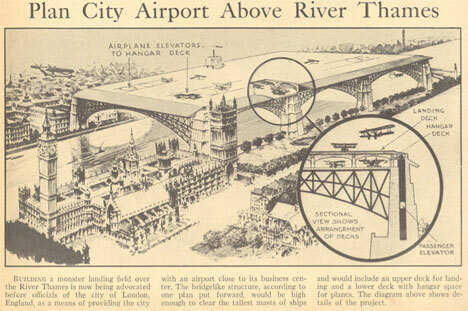 These delightfully impractical designs are the best of past urban airport ideas. They focus on putting the airport in the most convenient places: right where travelers live, work and vacation. Never mind the pollution – both noise and air – that urban airports would produce: think of the convenience! Designs like rooftop airports situated in a loop atop residential buildings seem absolutely ridiculous today. 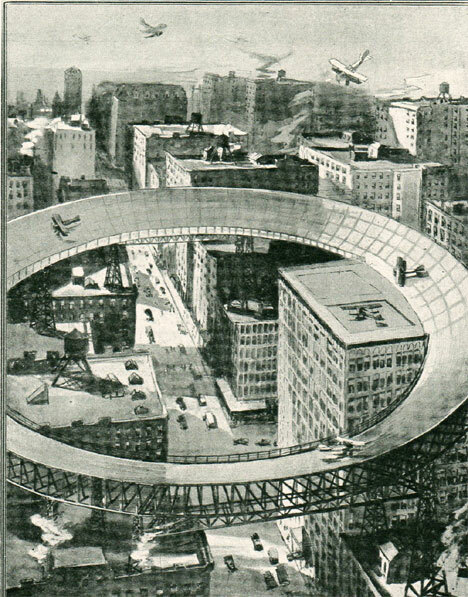 But urban planners in the first part of the 20th century seemed to take a creative stance when it came to aerial transportation hubs. Luckily for us, most airports ended up away from residential areas – and none (that we know of) wound up on precarious-looking platforms perched above neighborhoods. See more in Retrofuturistic or under Vintage & Retro. August, 2010.